Paris St Germain was unable to win their second successive league championship match after a 1-1 draw at Strasbourg on Wednesday in the 16th round of the competition. 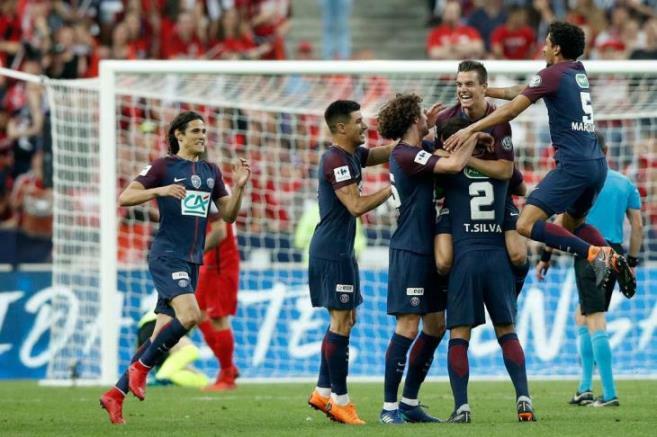 Despite the tie, St Germain, who drew 1-1 with Bordeaux, continued to top the standings with 44 points, 14 points ahead of their nearest rivals Montpellier, while Strasbourg lifted 22 points to ninth. Kenny Lala made a penalty for Strasbourg in the 41st minute, while Edinson Cavani equalized for Saint Germain in the 71st minute.